King Luke Sconiers was born in Bellwood, AL., of Geneva County in 1954 on the 3rd of November to his parents Phillip and Dorothy Sconiers. He was brought to South Bend from Alabama at an early age. He was educated in the South Bend Public School System graduating from LaSalle High School in 1974. He joined the military and achieved the rank of Sargent 1st Class in the United States Army. After completing six years of active duty he joined the Reserves to continue serving his country but began working full time at Molding Products and then the U.S. Postal Service which was his last employer for 16 years and retired in 2015. After that he worked part time at Real Services until his death. King loved his wife Brenda, his children and grandchildren. He enjoyed sports especially Notre Dame football and bowling. He was preceded in death by his parents; Phillips and Dorothy Sconiers, brothers; Jeremiah Sconiers and Noah Sconiers. King leaves to mourn his passing his wife; Brenda Sconiers of South Bend, IN., three sisters; Lillie Mae Oates of Montgomery, AL., Dorothy Jean Allen and Mary Bell Williams, one brother; Aaron Wayne (Eva) Sconiers; six sons; Tommy Darnell Sconiers all of South Bend, IN., Brandon Sconiers of Sequin, TX., Keenan Sconiers of South Bend, IN., Andre Jones of Champaign, IL., Lorenzo Jackson of Yankton, South Dakota, and Michael Jackson of South Bend, IN., one daughter; Angel Redding of Indianapolis, IN., 21 grandchildren and three great grandchildren. King was blessed to spend his last 14 years on earth with his wonderful wife, Brenda. King has impacted so many in the 64 years of his life. His outgoing personality has blessed his family, friends, co-workers and many that he encountered. 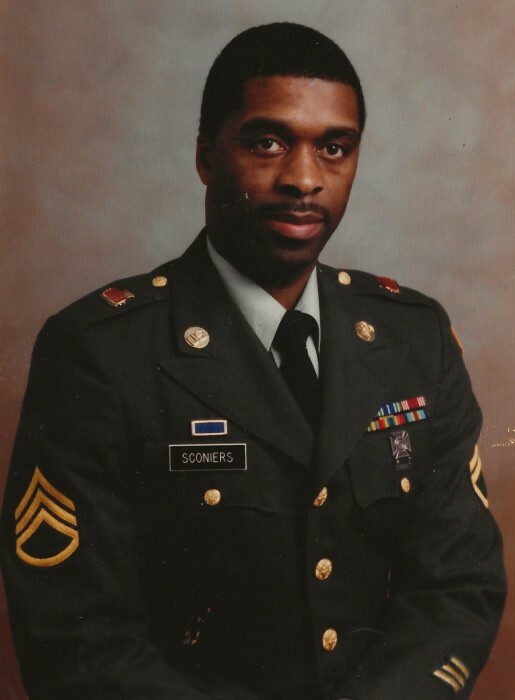 Service Arrangements for Mr. Sconiers will be held Wednesday, November 14, 2018 at 12 noon with a one-hour viewing prior at Pentecostal Cathedral.